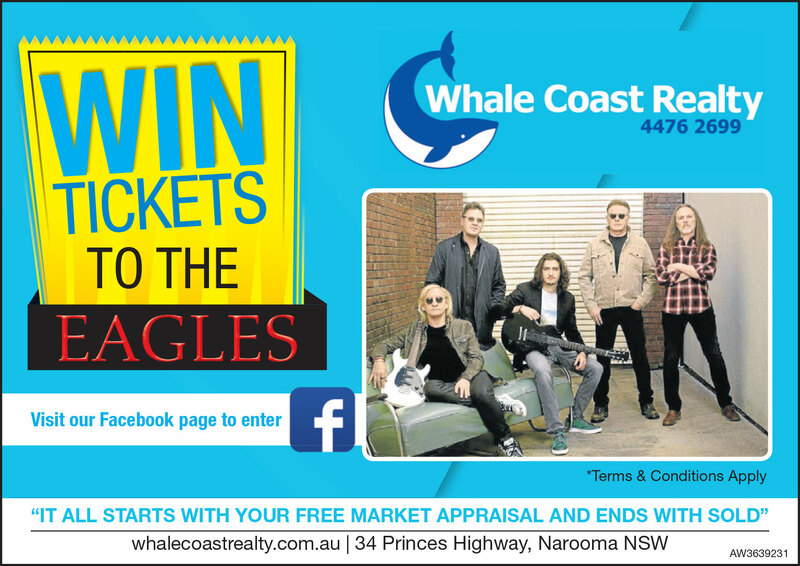 The team at Whale Coast Realty Narooma are excited to give you and a friend the chance to see the Eagles Live in Concert in Sydney in 2019! Fill out the form below for a chance to win this prize package. Please note, fields marked with an asterix* are mandatory. By entering this competition, I agree that the above information may be used for future marketing initiatives undertaken by Whale Coast Realty. Full prize is valid for use only on the concert date of 13/03/2019, This prize package is not redeemable or transferable for cash. Any part of this prize that is unused by the winner will be forfeited. Winner will be drawn on the 31st January by random online draw and winner will be announced on social media and by telephone on February 7th 2019.